Handwriting muscle warm up exercises – Get ready to write! 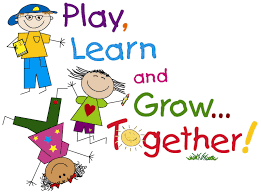 Our aim is to work with your child to provide a fun and exciting learning journey. We will explore a wide range of themes and topics, all of which involve wonderful ideas and activities. You also have a big role to play in this very important stage of your child’s development. · Encourage them to talk about their day. · Encourage them to talk in sentences. · Read the ‘Home Link’ letters (Link at top of page) so you can share their learning experiences in school. If you have any questions, then please don’t hesitate to speak to a member of staff. Please make sure you bring your son or daughter to Nursery on time, and collect them on time. The Morning Session runs from 8.30am to 11.30a.m. * Nursery have PE on Friday. At Blue Coat Infant School we greatly value the partnership between home and school in supporting the children’s development. where 1 member of your family (over 18 years old) can come and be a part of the children’s life at school. Please do not bring younger brothers and sisters to these sessions, as they are a special time for yourself and your child to spend together. ‘Learning Labs’ where you can play together. The activities may be related to a particular area of the curriculum, or to the current theme. The session will usually end with a story and rhymes.